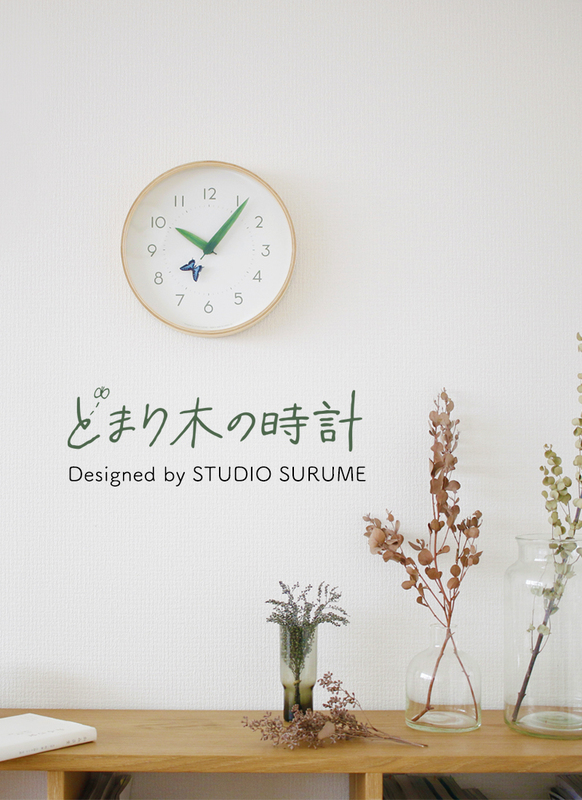 A clock with hands in the form of leaves and an insect. Once an hour, as the minute hand crosses the hour hand, the insect rests its wings on the leaf. Seeing it take a break on the leaf makes you feel like something good will happen when you look up at the clock. A wonderful story was born by representing the clock hands as leaves and an insect.